Left untreated, varicose veins could lead to more serious consequences. Angiosome Guided TestingTissue perfusion is regulated by the microcirculation. The six angiosomes of the foot and ankle are supplied by three main arteries – the posterior tibial, the anterior tibial and the peroneal artery. Skin perfusion pressure can be used to assess various angiosomes while PAD-IQ’s touch screen, color-coded interface makes this an intuitive process. The PTA supplies the plantar aspect of the toes, the web spaces between the toes, the sole of the foot, and the inside of the heel. Three main branches of the PTA supply distinct portions of the sole: the calcaneal branch supplies the heel, the medial plantar artery supplies the instep, and the lateral plantar artery supplies the lateral midfoot and the forefoot. The ATA becomes the doralis pedis artery that supplies the dorsum of the foot. 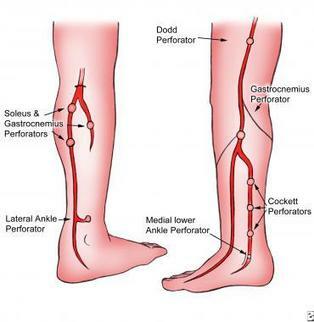 The PA supplies the lateral border of the ankle and the outside of the heel. The two branches of the PA supply the anterolateral portion of the ankle and the hid foot, with the anterior perforating branch supplying the anterlateral part of the upper ankle and the calcaneal branch supplying the plantar aspect of the heel. How are you testing the micro-circulation? Does a great toe pressure really give you the information you need? Are your TCPO2 results repeatable? Macon varicose veins (or spider veins) are swollen, ropey, gnarled veins that can cause throbbing pain, severe swelling, and heavy tired legs. VIRA has More Vein Treaments: Both Laser and RadiofrequencyVIRA physicians are the only Central Georgia practitioners with the latest Laser Vein Therapy, which uses a small laser on a tube inserted into the vein, and generally reduces pain and bruising. Additionally our doctors often opt for the agile radio-frequency ablation, described below, to heat and close the diseased vein for great results. The good news is that VIRA physicians have a choice of treatments to ensure that YOUR vein treatment will give YOU the best results. 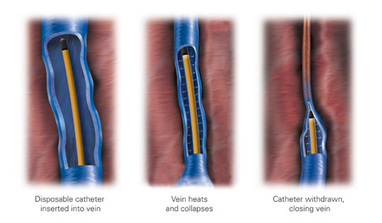 Additionally schlerotherapy is usually included (and covered by insurance) to ensure the great results are long-lasting.Macon Varicose VeinsVaricose veins before and after treatmentVaricose veins before and after treatmentVaricose veins (or spider veins) are swollen, ropey, gnarled veins that can cause throbbing pain, severe swelling, and heavy tired legs. This medical disorder affects 25 million Americans including one-half of all people over the age of 50 and two-thirds of all women over 60. Most of these people have suffered with varicose veins for decades.Heredity is the major factor in varicose veins. If your parents or siblings have had varicose veins, then you are more likely to develop them. People who are obese or women with multiple pregnancies are particularly susceptible because the extra weight puts strain on the veins. Women are more prone to develop varicose veins than men, in part because female hormones tend to relax vein walls and contribute to development of venous reflux.. Some people will have large varicose veins that are not visible as they lie under the skin. If you have pain swelling or other symptoms an ultrasound may be needed to clarify your condition. Seeing a qualified specialist today. In venous insufficiency states, venous blood escapes from its normal antegrade path of flow and refluxes backward down the veins into an already congested leg. Venous insufficiency is neither uncommon nor benign. Treatment is aimed at ameliorating the symptoms and, whenever possible, at correcting the underlying abnormality. Graduated compression is the cornerstone of modern therapy. Deep system disease is often refractory to treatment, but superficial system disease can usually be treated by ablating the refluxing vessels. Refluxing superficial vessels can safely be removed or ablated without sequelae. Dr. Jonathan Woody graduated from the University of North Carolina Chapel Hill in 1989 and attended Medical School at Wake Forest University. 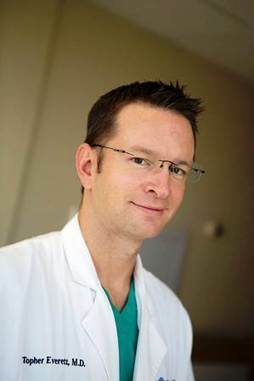 Dr. Jonathan D. Woody, a native of Charlotte, North Carolina, graduated from the University of North Carolina Chapel Hill in 1989 followed by Medical School at Wake Forest University School of Medicine where he received his Medical Degree in 1993.Upon graduating from Medical School, Dr. Woody completed his internship and surgical residency at the University of Tennessee College of Medicine and Erlanger Medical Center in Chattanooga, Tennessee followed a fellowship in Vascular Surgery at Harbor-UCLA Medical Center in Los Angeles.Dr. Woody is board-certified in vascular surgery and general surgery by the American Board of Surgery. He is an active member of many professional organizations, including; the American College of Surgeons, the Society for Vascular Surgery, the Peripheral Vascular Surgery Society, the Society for Clinical Vascular Surgery, the Southern Association for Vascular Surgery, the International Society of Endovascular Specialists, the American Society for Laser Medicine and Surgery, and the Georgia Medical Association. Dr. Woody specializes in all aspects of vascular surgery, including carotid artery disease, aortic aneurysms and aortic occlusive disease, mesenteric vascular disease, renal artery disease and lower extremity revascularization. Meet the doctors of University Surgical Vascular and find out how we treat a variety of vascular conditions. Schedule your consultation appointment today!